Have you ever had that “feeling”? You know the one—when you notice yourself suddenly skipping about here and there, flattering others in an uncharacteristically cheery way that makes them remark, “I want what they’re having!” Some call that expression—that intense feeling of deep affection, interest, or yearning—love. It’s but a simple four-letter word, and yet it can give some people enough purpose and motivation to perform wild, breathtaking feats, going to the greatest of lengths just for that shared pleasure of joy. “Love makes the world go round,” it truly does. Such a complex and powerful emotion often finds its way into animation. Specifically, the romance genre of anime holds steady as one of the field’s experts. Its incredible variety masterfully demonstrates that love is not only sweet and tender, but can also be realistically crushing and emotionally devastating. The latter is the kind of stories director Makoto Shinkai likes to tell. Rather than measuring up as a statistically sound series or film—that is, a rated “10/10” on various elements such as plot, pacing, characters, animation (his forte), sound etc.—Shinkai films excel at eliciting a feeling, usually on the heartache end of the emotional spectrum. 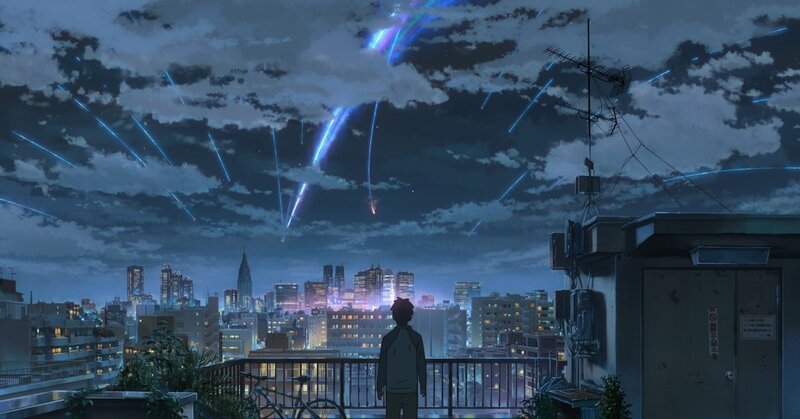 To quote his latest award-winning hit, Your Name., Shinkai’s films provide, simply put, “Nothing more or less than a breathtaking view.” Each possess their own fair share of flaws, some more than others, but beyond the little plot holes lies a relatable character struggle that just might tread a path you yourself have walked. And it’s exactly that strong resonance between one’s own experiences and Shinkai’s ill-fated cast which makes him one of the bests in the industry. Everyone wants to feel connected to others, and Shinkai depicts through his picture-perfect worlds what that connection is really like, and why it isn’t always everything that we wanted after all. 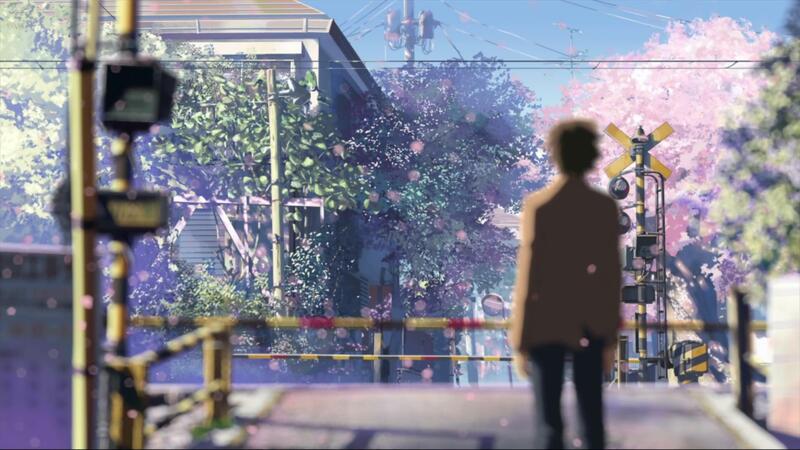 A comparative study and light analysis on the works of Makoto Shinkai. For each title, I will delve into the big issues or “separators” at hand, factoring in whether the story’s realism and emotions which the endings provoke somehow determine the possibilities for happiness and sadness alike. As such, SPOILERS for nearly all of his films WILL BE PRESENT. Also, these will NOT be individual reviews for each title. For those prepared to relive all of these amazing films, enjoy! I will always be by your side. After all, I am your cat. Aside from the music (by Tenmon), this 4-minute short was completely created by Shinkai alone, marking the early beginnings of his budding career as not only an animator and writer, but also a director. It’s the short tale of an average Japanese girl living in an apartment told from the viewpoint of Chobi, her beloved cat. Chobi speaks formally and passionately about his owner, yet he still has this pure, unclouded perspective of a cat. Arguably his softest work yet, She and Her Cat: Their Standing Points stood out due to its innovative (and awfully cute) exploration of love. What ultimately separates the two from “eloping” is, well, obvious—“She” is a human girl, a woman, while Chobi is a cat. It’s an unusual relationship, but that doesn’t stop the film from being so unrealistic as to the plot being “impossible.” The woman, nicknamed Kanojo by the community, faces her own hardships in the real world (including a possible love interest), and though Chobi would like to know what she does and where she goes once she closes their apartment door, he understands that her life likely isn’t all sunshine and roses—it doesn’t really concern him. All that matters to him is that she returns home at the end of a long day. Like with all of Shinkai’s films to follow, what separates them (different species, the “language barrier”) also unites them, for through each others warm embrace—that of a cat and his owner—they find comfort and care. Simple, peaceful, heartwarming. We may be the first generation of lovers separated by time and space. Though inventive at its time, the 3D graphics haven’t aged all too well. But thematically, Voices of a Distant Star packs more of an emotional punch than most 12-episode series could today—and this film only clocks in at 25 minutes, including the credits! It seems as if the big separator in Voices is the physical distance, but waiting for their messages of goodwill to traverse the vast blank void that is space ushers in another factor: time. As Nagamine’s unchanging body fights on (in what I can only imagine to be early-2000 Shinkai’s mecha dream-of-a-giant robot), Noboru ages at what feels like an alarming pace. In reality, his growth rate is no different from any of ours is, but the way Shinkai conveys the rapid passage of time only accentuates our lovers’ tragedy. Is it realistic? Even as a sci-fi flick, not really. But does its bittersweet run end on an ambiguously hopeful note? Absolutely. Voices is arguably the first film in Shinkai’s line-up to convey this notion that perhaps the lack of realism can lead to a happy ending. Very interesting . . .
On those now-distant days, we made a promise we couldn’t keep. To tackle the 1 hr. 30 min. length of this next film, Shinkai needed a team. Between his early beginnings and now in 2004, he partnered with the animation studio CoMix Wave Films. The results—The Place Promised in Our Early Days visually blew audiences away, nearly more so than with 2002’s Voices. Set near the turn of the century in an alternate reality Japan, which is split by America and the Soviet Union, young boys Hiroki and Takuya aim to fly to the top of the fantastical, unbelievably high Hokkaido Tower using an old drone. While at first a secret for just the two of them, Sayuri, a girl Hiroki and Takuya both like but would never admit to one another, discovers their secret, leading to the boys putting their project on indefinite hiatus. When Sayuri suddenly disappears from their life, however, the two come to realize that reaching the mysterious tower—the promised dream of their childhood—might be the only way to save her. Hiroki and Takuya experience a loss of youth, of innocence, as they learn to develop their own dreams and ideologies different from their childish musings. What once united them in friendship tears them apart, and the disappearance of Sayuri and discovery of her untimely illness are what kicked off the depressing events that plague the film’s middle. To watch two friends come at each other’s throat can be painfully real to some, as we’ve all have our fair share of little spats with friends. Additionally, I’m sure we’ve all seen sickness and temptation take the life of a loved one and push them into a place beyond our reach. Thankfully, a happy reunion awaits the cast at the end, leading to the belief of how sacrifice can yield rebirth. Once again, Shinkai writes with a science fiction mind, and although people still relate to Hiroki and Takuya, the entire premise is unrealistic, nothing more than a child’s fantasy. Can you still learn from it? Of course, but come Shinkai’s next film, reality takes a turn for the worst—the start of a tragic trend. At what speed must I live to be able to see you again? Here it is, Shinkai’s greatest creation (thematically, that is). 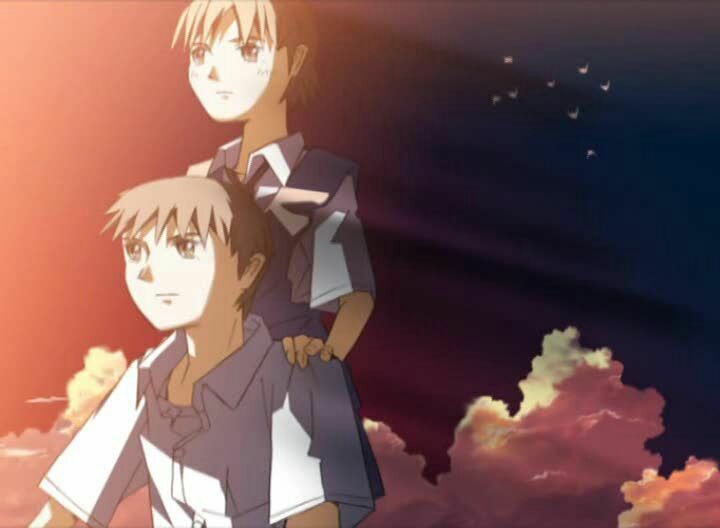 I’m sure it needs no introduction, unlike his more obscure early works, but in case you forgot, it’s the story of two very close friends and classmates: Takaki Toono and Akari Shinohara. Elementary school should be a time of play and triviality, but for these two, such isn’t the case. Rather than run around on the playground, Takaki and Akari would rather read in the library, or simply chat about life’s musings. Just as they become close, however, Akari’s family plans to move. Takaki and Akari send letters to one another, but Akari only continues to move further and further away. In a final attempt to see Akari before she’s beyond his limits, Takaki sets out to reunite with her. His unlucky trek attracts a cold winter’s blizzard, delaying the series of trains to Akari’s town. But that doesn’t stop the two from finally, FINALLY meeting once again. And boy, does your heart just melt the frost away. Equal parts faith and love, Takaki made the effort to travel out in the cold, sure, but Akari was the one who waited—the one who sat there miserable and alone with nothing to do but pray that her young love was on his way. It was proof that their love should be everlasting, but alas, that’s not the story Shinkai is trying to tell. In this first episode, it is a physical distance which separates our main couple. A chain of short stories about their distance. After this touching first episode, the film enters its next “story.” Time passes on. Takaki, too, moves away from his hometown to the warm regions of Tanegashima (a stark contrast to the first episode’s frigid finale). Now a high schooler, Takaki meets a new girl, and though she tries to admit her feelings to him, Takaki knows all along that his heart only belongs to one person: the woman of his past. Time and other relationships have left him traveling aimlessly. In the final episode, Takaki is old. Maybe not in the physical sense, as late 20s—early 30s is still quite young, but his spirit definitely seems lost—his heart broken from years without seeing or hearing from her. The painful reality is that, as life would have it, she has moved on, already engaged to another man. And that’s just it—the final separator which drives these now-unrelated adults is life itself. Life is always changing, and as we continue down our own paths, we sometimes have to leave others behind. 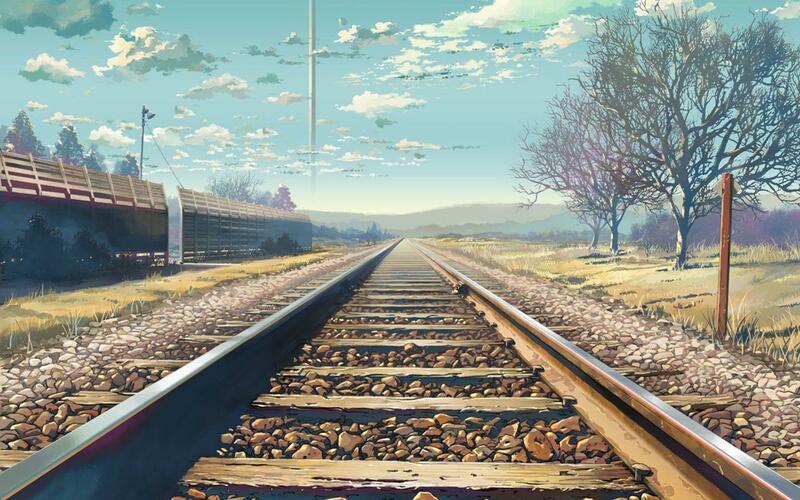 At its core, 5 Centimeters Per Second strives to present one’s “first love,” and how difficult it is to hold onto it—so much so that it almost feels not worth experiencing at all. Takaki, by his end, is lonely, depressed, and empty. It’s a sad film, yet a brutally honest one. Shinkai’s first feature-length film in a world without giant robots or fantasy towers is painfully real, and that aspect remains what distinguishes Shinkai from today’s anime directors. 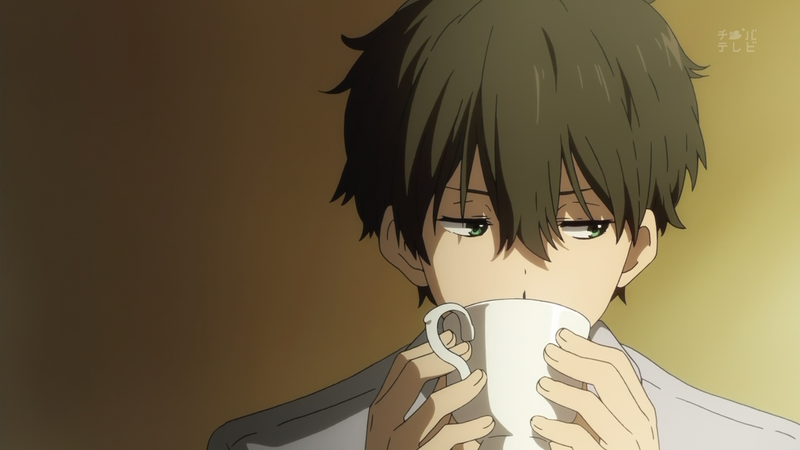 By this point, Makoto Shinkai had earned the appreciation and respect of his more mature adult viewers. Shinkai returns to the realm of fiction with this next film. Clearly inspired by the magical presentation of Studio Ghibli movies, the story follows young Asuna, an excellent student who maintains her family’s house in a rural town during her mother’s absence. Aside from spending time with nature, Asuna is alone. She finds escapism in her secret hideout up in the mountains, and frequently tunes into her old crystal radio for relaxation. One day, she unexpectedly picks up on a curious frequency: a rather melancholic melody, different from any song she had ever heard before. As if fated to meet, a mysterious boy named Shun rescues Asuna from a wild, bizarre creature, unintentionally dragging Asuna and her teacher, Mr. Morisaki, on a perilous journey to Agartha, a land long-lost to time and human presence. Though not his smartest film by any means, Shinkai has been longing to visit this colorful, enchanting world—Agartha—for some time now. 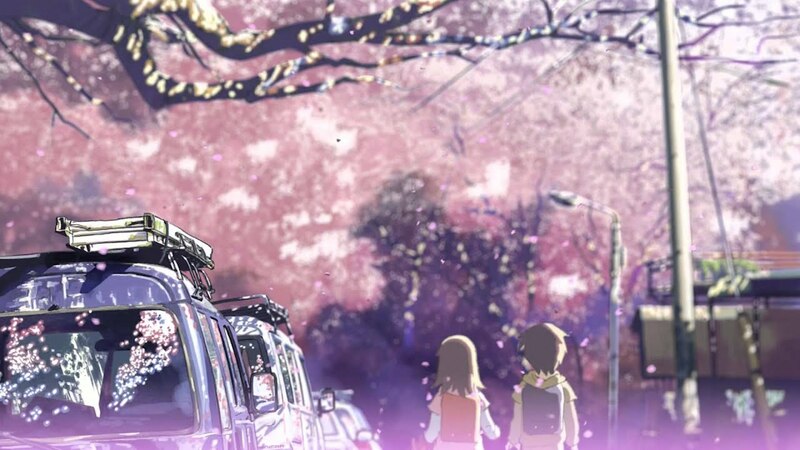 The luscious planet upon which Nagamine lands in Voices of a Distant Star; the domain where the comatose Sayuri resides in The Place Promised in Our Early Days; Takaki Toono’s realm of dreams in 5 Centimeters Per Second—each time this wondrous world reappears, it offers comfort to the characters. Not coincidentally, the design remains the same, too. From the gorgeously iconic “Shinkai clouds” to the seas of green grass and remains of old ruins, Agartha FINALLY gets the thorough fleshing-out that it has since deserved, and I’m just glad we got to go there at long last. But Children Who Chase isn’t all sunshine and roses. Awaiting Asuna and Morisaki is an adventure rife with death, and a thorough demonstration as to what happens when man attempts to bring those passed back to life. Foolish, blind greed and a gaping sense of loss are what separate Morisaki from someone pure-hearted like Asuna. But in the same way, the journey of letting go and understanding what “goodbye” truly means allows for the film to end with an odd, lukewarm sensation of happiness. Adventure yields danger, but to those who learn their lessons, the hope to live a fulfilling life burns on. God may be a cruel teacher, but so is history. Children Who Chase Lost Voices is far from a realistic story, and thus, the pattern of Shinkai’s fantasies ending contentedly continues. Is he trying to say that reality is just full of heartache and nothing else? Perhaps so with his next couple of films. Before there was love, there was loneliness. 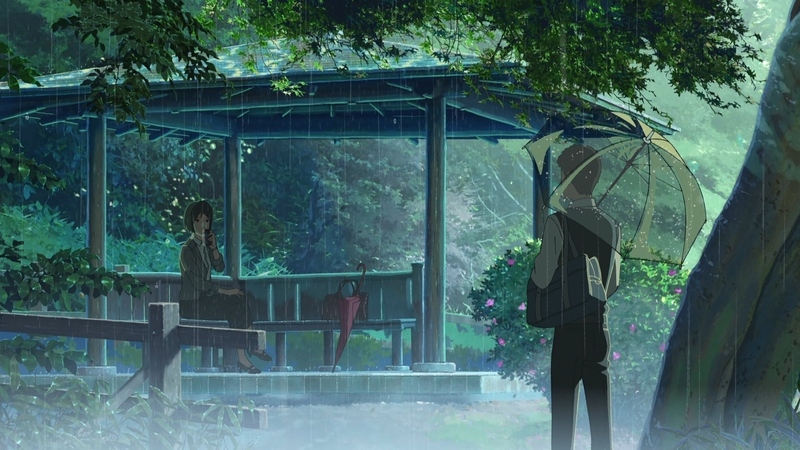 A personal favorite of mine, Shinkai’s The Garden of Words provides a 46-minute feels trip through an unusual couple’s short-lived romantic spat. Tenmon takes a break from the music to allow talent like Daisuke Kashiwa’s immersive piano soliloquies to establish an atmosphere unlike ANY other. 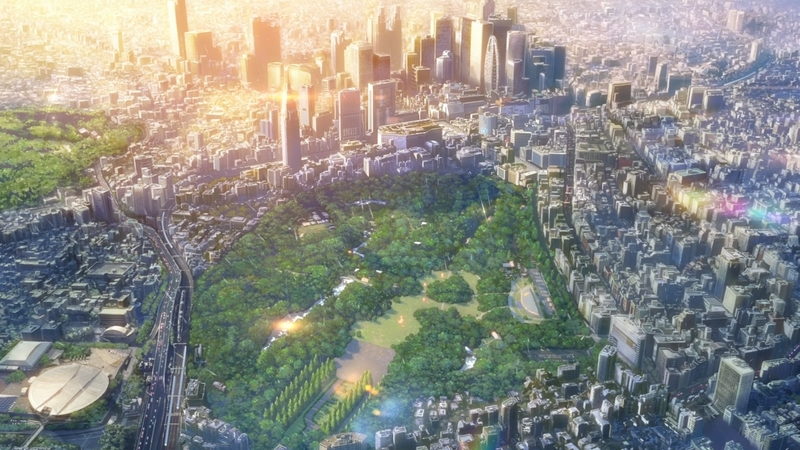 And the visuals—THIS is the incredible level of quality which defines Makoto Shinkai’s digital landscaping, lighting, and realism today. Visually, The Garden of Words remains the most beautiful short film I have ever seen, and it will probably hold that title for a long time to come! On a rainy morning in Tokyo, aspiring shoemaker Takao Akizuki does what every student on a rainy day wishes they could do—he skips class to sketch designs in the city’s beautiful garden. Thinking he’d be all alone in this calm misty weather, he accidentally meets a beautiful yet reserved young woman. Her name is Yukari Yukino, and though she continues to skip out work to drink and eat chocolates in the garden, Takao takes a liking to her poetic words. To [figuratively] get her back on her feet, Takao offers to make Yukino new shoes. And thus they vow to themselves: for each day it rains, I will spend time with her/him. More rainy days arrive, and as the two secretly convene in their garden of words—of shared acceptance and belonging—the two unknowingly start to lighten their own personal burdens just by being together. Tokyo’s rainy season may be long, but like all good things, it doesn’t last forever. As warmer days creep ahead and the chance for precipitation diminishes, Takao and Yukino’s relationship risks drying up like the rain which brought them together. The Garden of Words paints the true vision of life’s loneliness before love intervenes. It’s the gentle story about finding solace in another, and learning to alleviate one’s personal worries through something as simple as conversation. At first, a lack of courage casts Takao and Yukino as an awkward couple. Only after Yukino is revealed to be a teacher at his school do we see the true separator at hand: the age gap, and the societal notions that place stigmas on teacher–student relationships. YUKINO KNEW THE WHOLE TIME, yet held of on saying anything for fear of judgement. And in the end, Takao yells at her, forcing her on her feet through their compelling emotional conflict. Realistic in every sense of the word, its finale feels bittersweet, yet resolved. Separated from each other, the two resume pursuing their own personal aspirations. Though somewhat sad, in truth the ending is optimistic about the different directions Takao and Yukino take, as it was through comfort in one another’s presence which allowed them to find their way back on the path—and with a stronger, more confident “footing” this time around. The Garden of Words rings true as the new Shinkai standard, but thematically, it revolutionized Shinkai’s game: for the first time, a realistic story does, in fact, yield a happy ending. There are a lot of things you two have forgotten. Returning to form, Makoto Shinkai cranks out another charming yet touching short (6 minutes in length) with the release of The Garden of Words. It hearkens waaay back to his beginnings, with the simple yet relatable tale of a girl and her cat. Aa-chan lives in a near-future Japan, and has recently made the big transition of living on her own following graduation and the start of a new job. 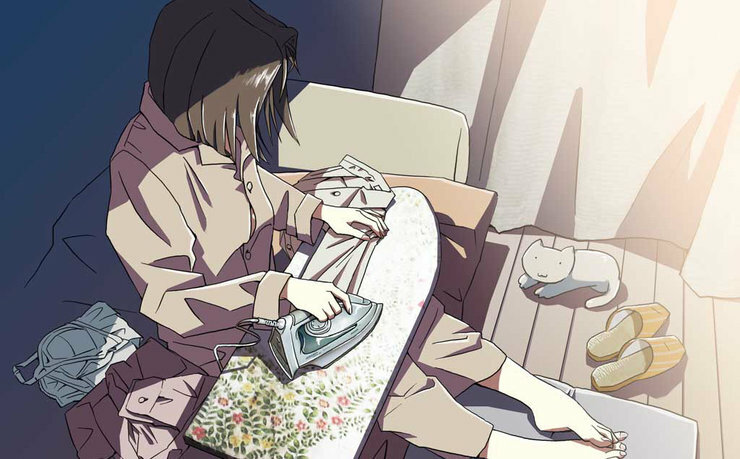 With her mother working overseas as a doctor, her loving father is left behind at the apartment with the family cat, Mii-san, who happens to be very old by this point. Seeking a way to reach out to her, her father tries several times to reconnect with his distancing child, but the gap is too awkward for him to bridge. Eventually Mii-san passes away, but this sudden grief holds the power to reunite a tired daughter, a busy mother, and a lonely father. All that emotional energy conveyed in such a short time serves to remind us as to Shinkai’s greatest strength, that is, being able to make his viewers experience heartbreak followed by hope (or hopelessness) in a matter of mere minutes. Someone’s Gaze is especially relatable, as the burnout experienced by today’s youth and the parental fear of their children growing up in today’s world both hit us hard at some point in our lives. With maturity comes opportunity, but that often involves temporarily leaving an old way of life—and the people in it—behind. In truth, familial bonds change over time, and as we grow up, it can be hard to maintain that “want” to communicate. Like The Garden of Words, Shinkai permits for a realistic story to end optimistically hopeful, perhaps marking that the guy really is turning a new leaf from his long history of depressing, failed love stories. I sought to find something great, and while it may not have been what I expected, I found something . . . or rather, someone. Although this latest short is actually just a 2-minute commercial for the Z-Kai cram schools, it was still directed by Shinkai, and holds that same breathtaking, picture-perfect style to boot. As college entrance examinations draw near, two students living completely different lives focus their time and energy into a correspondence education service. Juggling their studies with their already-involved daily lives, the two diligently work towards that high goal of college admission, unaware of how much they share in common. It’s a brief yet inspiring “work hard, play hard” preview into a film that I can only imagine would’ve been absolutely stunning had it received the length it deserved. Not as absurd as those 30-second Cup Noodle ads, but even just a couple minutes more would have doubled the story’s length. I suppose we don’t always get what we want; such is life. 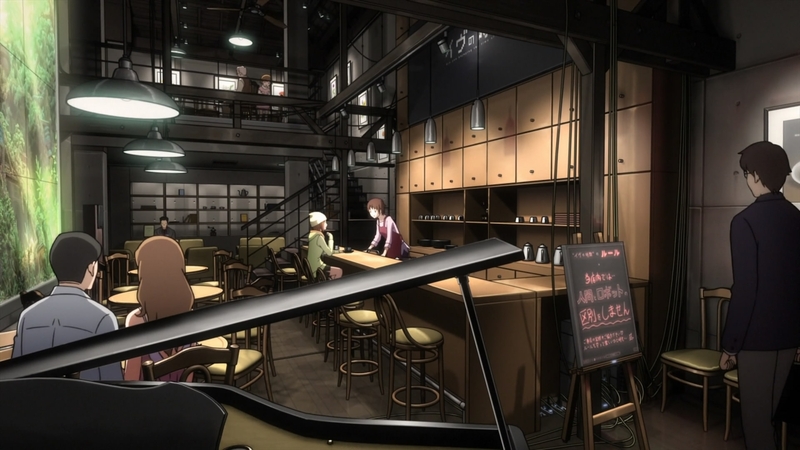 Despite the let-down of a run time, Cross Road still manages to follow a truncated version of the Shinkai formula: two individuals in similar situations are separated by different lives, but their unexpected meeting reveals that, through hard work, the hope to overcome their challenges increases. Call this a lighthearted take on the next and final film—the realistic outcome of what possibly could have been. Wherever you are in the world, I swear I will find you again—no matter what. 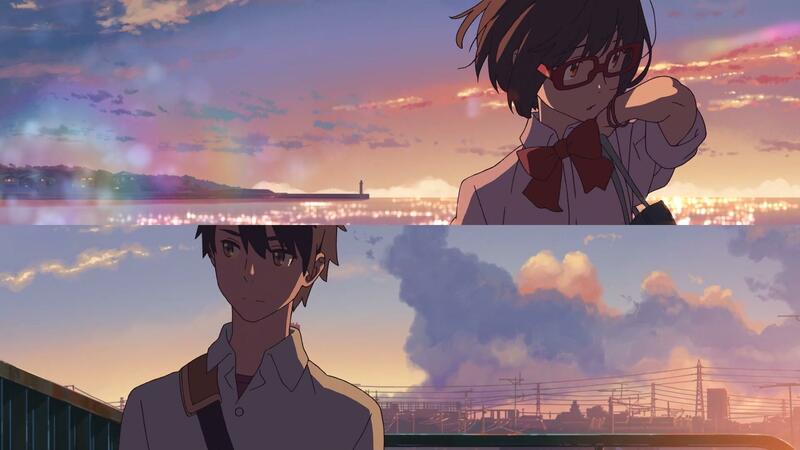 Your Name. exploded onto the anime scene, continuing to break record after record until it became the highest-grossing anime film in the world (among other nominations). Funimation and Madman Entertainment’s combined efforts to license, dub, and promote the film through staggered theatrical releases maintained its hype not just for the remainder of 2016, but for most of 2017, too. Even now, anime fans who are finally getting around to watching it share their praise with the community, reviving the excitement of this rom-com drama to no end. By this point, Your Name. wasn’t just another Shinkai film—it was a moving, breathing phenomenon. Like any high school girl born and raised in the Japanese countryside, Mitsuha Miyamizu craves the wonder and excitement of city life. Unfortunately for her, the family’s shrine needs its maiden, restricting Mitsuha to her life in the boonies. Meanwhile in the lively Tokyo, high school student Taki Tachibana labors away at his part-time job with the hopes of eventually pursuing a career in architecture. One day, Mitsuha awakens to an unfamiliar ceiling, but the chic apartment and bright view of the city skyscrapers instantly identify as Tokyo. “This is my dream life! But wait . . . wha—I’m in a boy’s body!” Out in the countryside, Taki finds himself waking up in a similar frightening situation. A strange phenomenon swapped the two’s places, and in order to figure out the reasons for their predicament, Taki and Mitsuha live out random days in the other’s shoes, learning about the differing lifestyles, and that above all, fate works in mysterious ways. As Taki and Mitsuha desparately begin searching for the other, their actions begin to dramatically impact the course of destiny, forever altering the threads of fate which tie them together. A girl and a boy torn apart by an impossible distance, but brought together through circumstance and, of course, fate. At first, that distance is literal: Taki lives in Tokyo, while Mitsuha resides miles away living her humble country life. And part of that is the trick, the gimmick behind the landscape facade, for as soon as the big reveal of the comet Tiamat’s destruction is made, BOOM—time turns out to be the true separator here. Though Taki felt confident and sure of this feeling tugging at his heart, his confession was sadly three years too late. And because of this he suffers. Mitsuha suffers. These star-crossed lovers save their beloved Itamori and all its kind, caring folk, BUT—as if their story weren’t painful enough—one last divider severs their last chance of reuniting: their memories of each other are lost to time. Is it a realistic element? Hardly, but it does lead to one of the most happily fulfilling endings I’ve ever experienced. Here’s why. 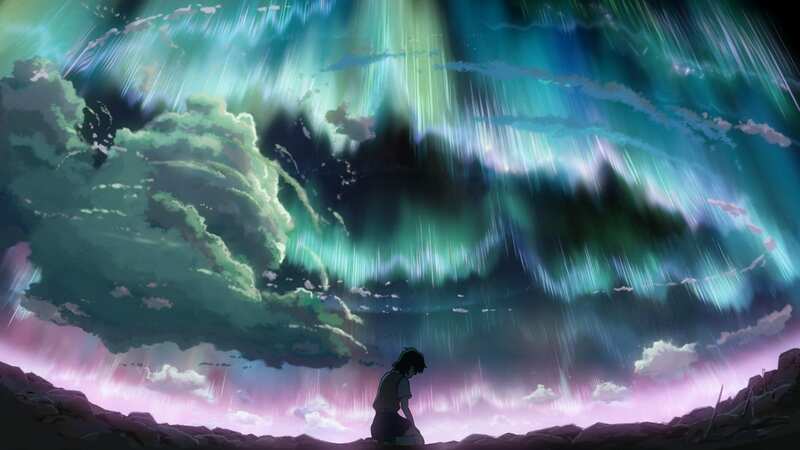 Makoto Shinkai’s latest film borders on tragedy. Up until this point, it was about to become the biggest heart-breaker in anime film history. But thankfully, Your Name. appreciates a sort of cosmic balance to all the good we do—Shinkai calls that seemingly magical, underlying, connecting force musubi, and we can thank it for honoring Mitsuha and Taki’s feelings for one another. By the film’s end, the two are left with just that—a subtle feeling of the all their shared struggles, surprises, happiness, sadness, inspiration, appreciation, love. . . now memories lost to a different time. And when tragedy attempted to end their tale of romance and miracles, fate reconnected the strands of love to the cord of hope. Thus, Taki and Mitsuha became destined to meet again. Separated by distance, connected by fate. Have you ever felt that “feeling,” that despair of something that can’t be changed or is beyond your reach, but you still long for it anyway? 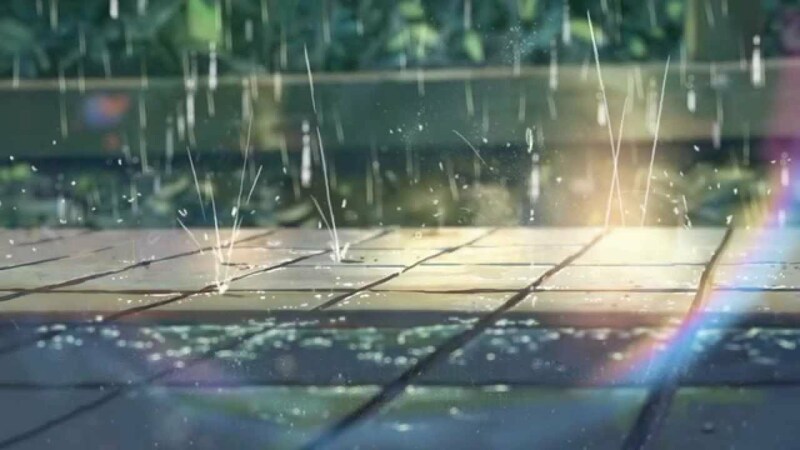 I’d like to call it “love,” but Makoto Shinkai interprets such a complex emotion as “longing in solitude.” It is only through loneliness that we understand what compassion really feels like, after all. Shinkai’s works tend to feature unusual yet somewhat realistic relationships, which more so play out as bittersweet than truly tear-jerking (save for maybe Your Name.) He covers a broad range of relationship stages, too, from the cutting of ties and moving on (5 Centimeters Per Second) to the early beginnings of expression (Garden of Words). Unlike most film writers and directors, he delves into themes like pain, longing, yearning, loneliness, and emptiness to give the audience stronger, almost more common emotions to connect with. His creative use of time laps emphasizes this distance or emotional disconnect that the characters and audience experience, and his hyper-realistic visuals never fail to immerse you in the setting he wants, be it on faraway roving fields of green, a quiet Tokyo apartment, or a rainy day in the park. Most of all, through distance, Shinkai is able to explore the gap between two people’s feelings: why it exists, and how it is a natural part of the human experience. Life isn’t that glamorous fairy tale that Disney or Hollywood make it out to be. Instead, Shinkai tells us it can be messy, and often times painful to shoulder alone. It’s okay to fall both in love and out of it, as people are always changing. He also teaches that you can, in fact, grow as an adult; emotional maturity has nothing to do with one’s age, for even as adults we can get lost on our path. None of us are invulnerable to emotional struggle, grief, and even depression. But none of us are forever doomed to loneliness, either—such is why even his most realistic works end in both sadness and happiness. After studying all of his films, I can confirm that NO CORRELATION between the level of realism and whether the ending is positive or negative exists, as Shinkai doesn’t sugarcoat the reality we live in. He presents it for what it is, which has its fair share of good and bad times. Ultimately, no amount of magic or sci-fi gimmicks can determine whether YOU chase after the ending you want, for you, too, are constantly growing and learning new things. The hope that we can always change for the better resides within us all—you simply have to decide who you want to be for yourself, and make that leap of faith over the scary distance to connect with another. While you’re at it, don’t forget to enjoy life’s little things we often take for granted. 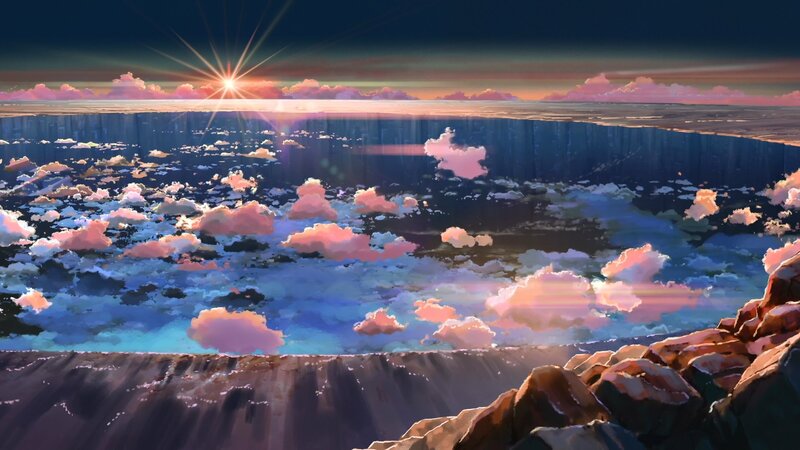 In Makoto Shinkai’s picturesque, emotionally charged films, I found a rekindled passion for life’s hidden beauties, and so long as he continues to explore the growing distance between us and how finding solace in another can heal our emotional wounds, I’ll always look forward to his next creation. At a touch over 5,000 words, this is officially the longest post I’ve ever written, and if you read all of it, you’re my favorite person ever—I hope you learned something new! As you can tell, Makoto Shinkai’s works mean a good deal to me. Most find them repetitive, as in “If you’ve seen one, you’ve seen them all.” But really, that’s not the case, as each offers a different commentary on relationships and life, even if the execution or premises feel very much the same. So instead of fighting against the argument, I wanted to write this—to leave behind my innermost thoughts and emotions on Shinkai’s films in hopes that whoever stumbles upon this in the future might feel the same way, and that I can comfort them with my musings. 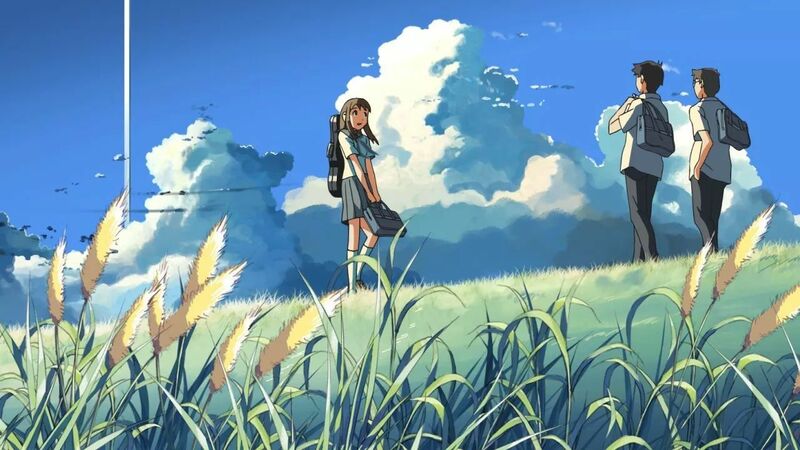 Have you ever resonated with one of Makoto Shinkai’s films, be it his oldest shorts or his latest hits? If so, do you happen to have a favorite or two? I want to know! If you’re fairly new to this director, was Your Name. your introduction to Shinkai’s scenic style? You have to let me know that, too! 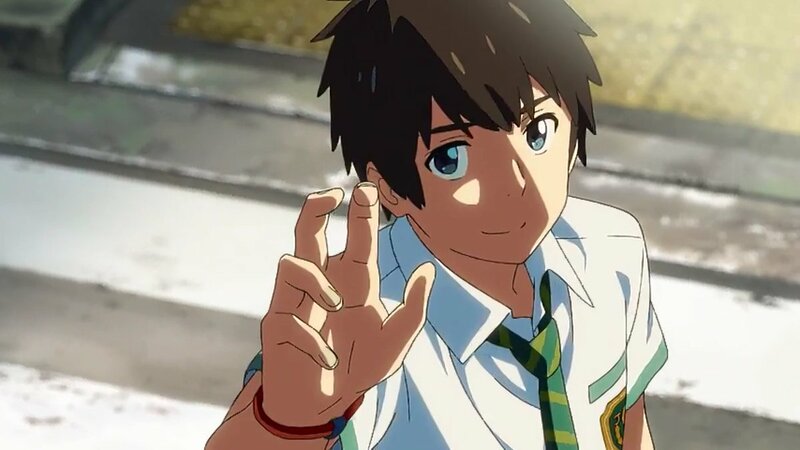 I’ve met several new faces (including a dear friend) through Your Name.‘s theater experience (which you can read about here), and I hope that you, too, get the chance to share one of his films with a friend or even a lover. This officially concludes my comparative study over the creative works of Makoto Shinkai. It’s been a long time coming, what with the writing process and reserving time to rewatch ALL of Shinkai’s films in order, and I’m finally glad I got to share it with you. Despite being terrifyingly long, it’s one of those posts I feel proud to have written. Please let me know any thoughts of the films or this post down in the comments, as I’d love to hear your feedback! Also, feel free to share this to any Shinkai fans you know out there! As it happens to be on love and romance, I saved writing this post for February, so Happy Valentine’s Day, my dear readers! Whether you spend this season of love with others or save it for yourself, know that I’ll always be wishing you good health and happiness! Thank you so, so much for reading this lengthy analysis—’till next time!